Bagdad Cafe opened its doors on Christmas Eve, 2005. 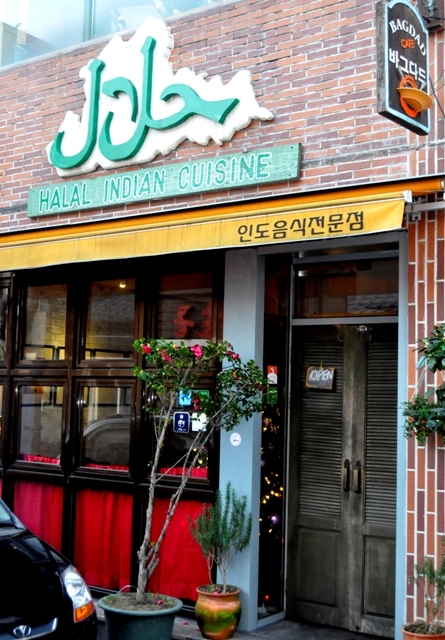 Five years later it became The Jeju Weekly’s very first restaurant review. And now - almost to the day of its first review - we’re celebrating Jeju’s oldest foreign food restaurant! In a market where a business is lucky to last 24 months, Bagdad has defied the odds with twelve years of service. I first stumbled through Bagdad’s famously cantankerous, louvered doors in 2010. Regulars of this restaurant know you have to pull hard on the right half of these heavy, hand-made, slatted doors to open them - and even then it can be a struggle. Why haven’t the doors been fixed? Because they’re as much a part of the wonderfully complex personality of this place as the name Bagdad, which suggests Middle Eastern food rather than Indian. Few people know that the establishment was named after a movie. 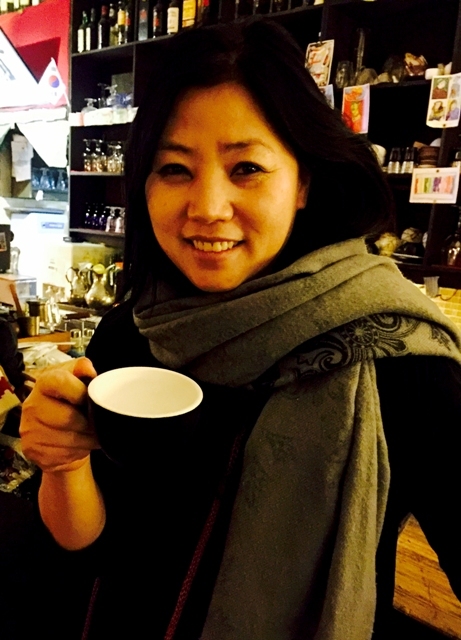 Owner and operator Hyun Ju-ryoung told me that she wanted the same kind of weird and wonderful feeling at her place as she felt in the 1987 classic “Bagdad Cafe”. It was a film about a truck stop restaurant in the Mojave desert that became an oddball oasis for friendship and community. A place that brought people together. I think she succeeded in creating a similar atmosphere. Of course, I’m biased. Bagdad is my favorite restaurant and very much like a second home. I love the feel of this place, as well as the many characters that populate it. However, let’s be serious here, the food is also consistently superb. Ju-ryoung has brought together her favorite recipes from years of travelling and sampling Indian cuisine all over the world. She cooks in the kitchen almost as much as lead chef Puran Kandel, who has been at Bagdad for ten years now and cooking for thirty. You will also find her out on the floor along side Ahmed Lababidi, a dynamic young Syrian who speaks Korean as easily as he keeps the 50+ seats at Bagdad satisfied and served on time. 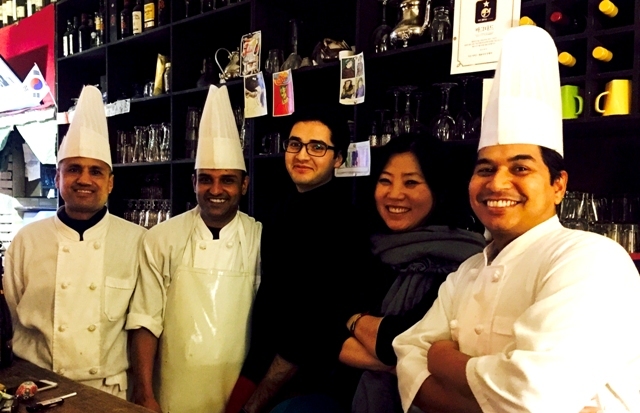 The kitchen staff also includes Sapkota Keshav who came in 2009, and Kriti Raj Bhandari who arrived in 2015. All three of these bright, infectiously pleasant men are members of a massive, loose-knit network of Nepalese chefs who work all over the globe. They take pride in their craft and have a genuine affection for living in Korea. 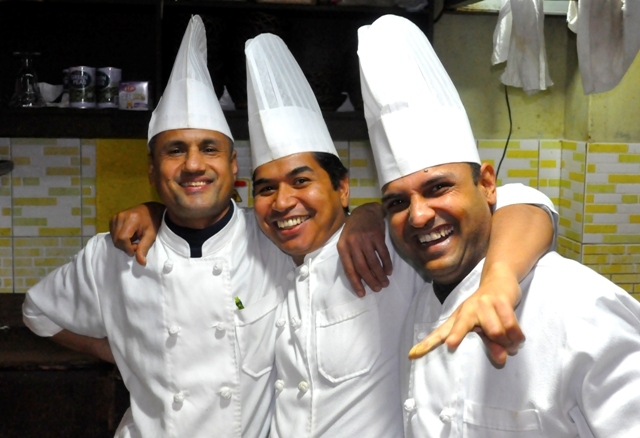 Their camaraderie and love of cooking are a large part of why Bagdad boasts such authentic Indian cuisine. Bagdad was the first small business on Jeju to hire chiefs from another country. It took Ju-ryoung 6 months to secure work visas because Immigration didn’t know how to handle it. Born and raised on Jeju, Ju-ryoung’s vision for this restaurant was always about bringing the world to her island home. Even on her first trip to India in her mid-twenties, the souvenirs she most cherished were the foods she returned with for her friends and family. Strong and independent like her mother, who was once a Haenyeo - one of the island’s famous female divers - Ju-ryoung has worked tirelessly to create a curry-flavored cultural melting pot. It’s one of the very few foreign food restaurants on the island owned and operated by a Jeju local, and one of an even smaller number of independent restaurants opened 365 days of the year. Opened from 11 to 11 seven days a week, Bagdad has a small but well-balanced menu. The food here is predominantly northern, with an emphasis on Delhi style. 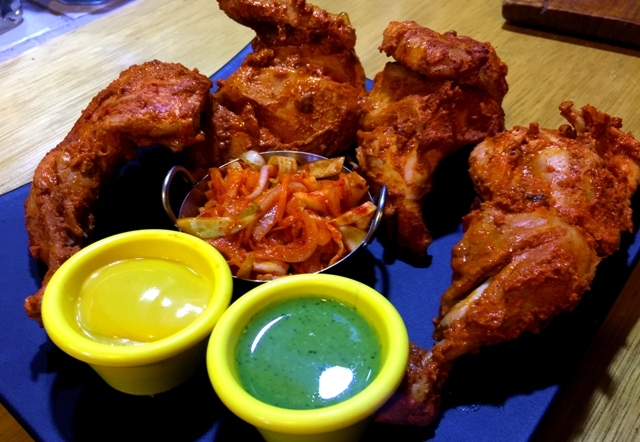 The Tandoori chicken is a crowd pleaser, and the Paneer Butter Masala is a personal favorite. You can request a couple notches of extra spice if you want more burn, but I’ve found that their basic level of heat is fairly judicious. My current love affair is a spicy Chicken Masala, plus one of the new Kormas, and a couple of different naan breads. The naan at Bagdad is substantial, handmade, and comes out blistering hot from a real tandoor in the kitchen, so watch your fingers. The Kormas are new, and one of the few southern dishes offered at Bagdad. These mild white curries from Kerala - an Indian state on the Malabar coast - provide a creamy, savory contrast to the fiery red chilis of the masalas. Lastly, I have to recommend the Jeera Rice with its scattering of cumin seeds. It makes a fantastic, palette cleansing side, especially when coupled with a Salty Lassi. And for the love of Krishna, do yourself a favor and order a cup of Chai for desert. Go here. Find yourself a small table somewhere amid the rich tapestries and eclectic art work. Snuggle into a bowl of something orange and steaming hot, then settle back for some animated conversation, tasteful music, and a few smiling exchanges with Ju-ryoung and the staff. You’re home.